Josh from 1776 Effects designed this fantastic delay that emulates three different tape delays: Binson Echorec, RE-201 Space Echo and Echoplex EP-3. I have heard some demos on youtube and it sounds so good.. nice warm analog-vibe. Just what the doctor ordered! 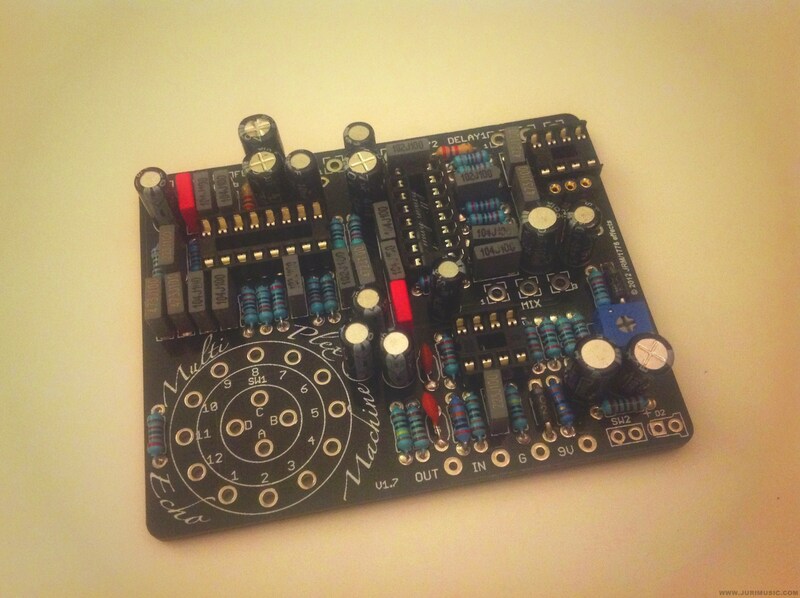 I heard that there's going to be an add-on modulation pcb available in few weeks. So, I'll have to wait for it before I drill the enclosure and print the graphics. This thing is going to be amaaazing!